Sometimes in the busyness of Christmastime our enthusiasm for carolling can run pretty low. This article by modern hymn writer Keith Getty may provide some inspiration. The ever-approaching beat of Christmas is enough for many church musicians (and their staff, family, and pastors) to feel overwhelmed, exhausted, and lacking in creative freshness. We have to work harder, produce better, innovate wider, and handle over-committed volunteers and their opinions. All the while we’re stressed, budget-squeezed, and of course, must still deal with all the usual personal and family pressures while wondering how on earth we can find a “new angle” on the Christmas story. As a local church musician and composer who’s involved in an annual touring Christmas production, I offer several instructive principles for this highly anticipated time of year. born to set they people free. These songs speak of the One who gives the peace and rest every soul craves to find. And while this gospel story should be the core of every Sunday worship service, it finds new hearers during Christmas when many who don’t yet know the Lord attend a church service. What a great opportunity; what a great challenge—to clearly and artfully present this world-changing story in the songs we select, present, and sing together! In the eagerness for musical innovation let’s not compromise on content. 2. Explore and immerse yourself in the abundance of historic church Christmas music. These are the real “crossover” songs of Christian music—appearing in movies, musicals, television shows, commercials, novels, and radio charts; affecting the education of countless generations; sung more frequently and knowingly and passionately in the public square than any modern song likely ever will. With traditional carols, there is a sense of familiarity, quality, depth, and relevance to the whole church body that a modern-based diet can almost never bring. Christmas music is the best place to see this contrast. The most widely known carols are written by the greatest composers in history, including Beethoven, Handel, Holst, and Mendelssohn. Others are a unique hybrid of folk music and church music traditions that have stood the test of time. The poems of Christina Rossetti, Phillips Brooks, as well as Charles Wesley and Isaac Watts arrest both the mind and heart. Certainly congregations enjoy both innovation and the familiarity of tradition, new sounds and also the sounds they grew up hearing and singing. While everyone has different tastes, one thing the majority of young and old, the churched and unchurched have in common is that they love to sing carols at Christmas. Let’s worry less about being cool or doing something new and more about playing these hymns beautifully and creatively. Then when we add something it can be genuinely fresh. 3. Educate and reinvigorate your congregation to sing well. Congregational singing throughout time is a huge witness—seen in the Old Testament, New Testament, and church history. These are the days to confront your congregation with this truth: they will be a witness to the unbeliever who visits your church. They have no choice in the matter. By their engagement with the songs and participation in the singing, they will testify to the joy of an excited believer or betray the chill of a disinterested spectator. By singing great songs they already know, in a season of joy and celebration, with more inspiring instruments, choirs, and arrangements, you have a great chance to really encourage your congregation to sing well. Let’s make sure pastoral leaders are behind this goal of witness through congregational praise and that together you are preparing the church for it. Ultimately, the deepest part of ourselves—and of your non-believing guests—will respond better to authentic, passionate, a cappella singing of timeless carols than even the slickest production our churches can inspire. 4. 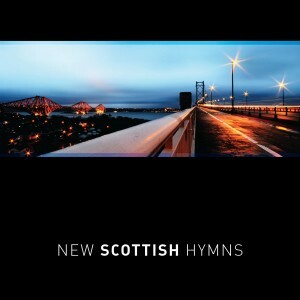 Challenge and broaden the musical vocabulary of the church. Traditional music invites re-interpretation—new sounds, new voices, new instruments. It’s an opportunity to be more of what you aren’t at other times of the year. Think of it like this: If you were to chart the breadth of your personal musical taste as represented in your iTunes library, how would the breadth of your church musical expression compare? The natural posture and tendency of corporate leadership is to reduce, to find the common denominator, to extend the easy handle. Christmas is about expansion—in the world of musical production from classical to pop almost everyone acknowledges that audience tastes are wider and more eclectic. And it’s a season when most churches welcome the role of performance music of all kinds in a worship context, from children to adult choirs, from instrumental to vocal solos. Around 2008 and 2009 I had probably my worst ever period of creative drought—didn’t write a single good congregational melody. So I decided to change things up. I started writing solo music for Kristyn, went back to my roots and wrote choral music, collaborated with a traditional Irish musician, and wrote instrumental music and carol arrangements. Then when Kristyn became pregnant we wrote children’s carols and lullabies. It refreshed our creativity and we ended up being able to write better congregational hymns afterward. If you are a church piano player, singer, choir director or writer—use Christmas to try new flavors or to refresh your artistry. If you’re music hasn’t grown for a few years you’re probably really boring the people whose imaginations you are supposed to inspire. 5. Seek fresh opportunities to think outwardly and to take music outside of the church building. For every 1 car that drives into your church 99 drive past—and I bet almost all love Christmas music. The acceptance of Christmas music in certain parts of our wider culture allows a unique occasion for witness and thinking outside the walls of our chapel. Talk to your church leaders about how you can work together to reach the community around you. Perhaps we can use our innovation to play at schools, in retirement homes, and for military groups. We can go door-to-door carolling, host neighborhood open air events, hire a concert hall, or bring music to a house party. Many of us need to understand our musical gifts as being more in tune with the wider mission of our churches. Christmas is a huge opportunity for church musicians. If we can get that right, it sets us up for the next year and helps us re-adjust our thinking to ensure other things can find their rightful place. I somehow missed a great Christmas album two years ago. You may have done the same. 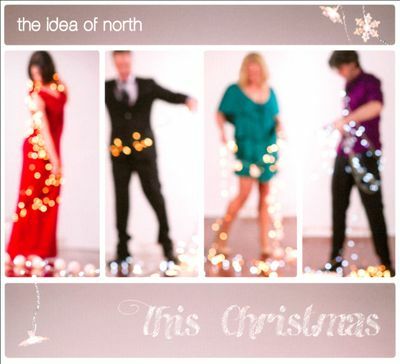 The album is ‘This Christmas’ by the Idea of North. You can read the review below, or simply go and listen online. I’m sure you will enjoy it. “If you want your Christmas to groove along with some stunning arrangements, then The Idea of North’s latest recording is an absolutely must. This ensemble, known for its contemporary flavour and mellow vocal blend, has captured the joy of the season with a selection of traditional carols. American Christmas-themed songs (Have Yourself a Merry Christmas, The Christmas Song / Chestnuts Roasting, and I’ll Be Home for Christmas), also features along with some more modern numbers (Angel, Candlelight Carol), and are all mixed together with sophisticated jazz harmonies and some wonderfully rich orchestrations. James Morrison’s inclusion (playing trombone) in Mary’s Boy Child lends an improvisatory edge to the setting, whilst the reprise of this song as a band mix has a more Latin feel. The title track, This Christmas, has an all-encompassing Christmas appeal (and some additional fine solo guitar work). 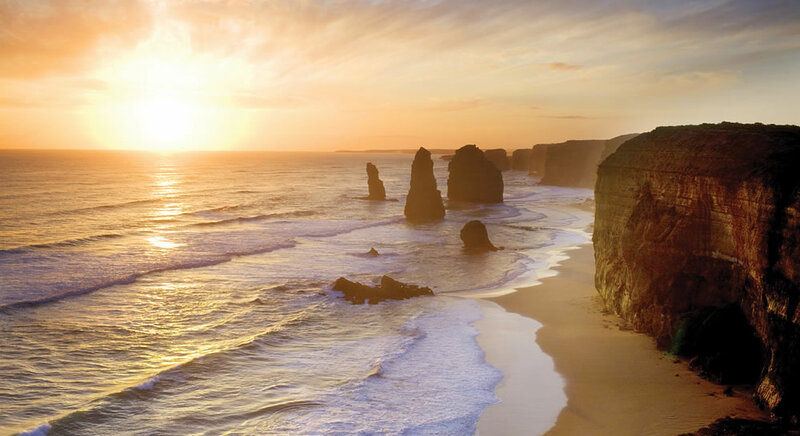 The inspirational song Angel (In the Arms of the Angel) has seen performances from all over the world, including from the song-writer Sarah McLachlan, Josh Groban, Westlife, Angelis, The King’s Singers, and Katherine Jenkins, not to mention this Australian version, which is as powerful as those famous renderings before it. Australia’s most recognised contribution to the Australian carol tradition is not forgotten either, with William James’s The Silver Stars are in the Sky, which shows the group’s ability to find new harmonic gestures throughout the lullaby-like verses. The Christmas Medley seamlessly merges rhythmic responses of Once in Royal David’s City and Hark The Herald Angels Sing, with a more straight forward God Rest Ye Merry Gentlemen. Poverty is hymn-like in its four-part traditional harmonies, giving a respite to the rhythmically energised arrangements that occupy the bulk of this recording. Poignancy and simplicity is found in the Thad Jones signature tune, A Child is Born (complete with trumpet doubling the melody). Greetings all! 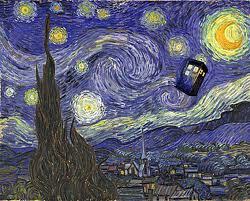 Thanks for reading along and welcome to my new followers! Just a quick post to share a lovely song for a wedding reception. If you’ve got one coming up, check it out! 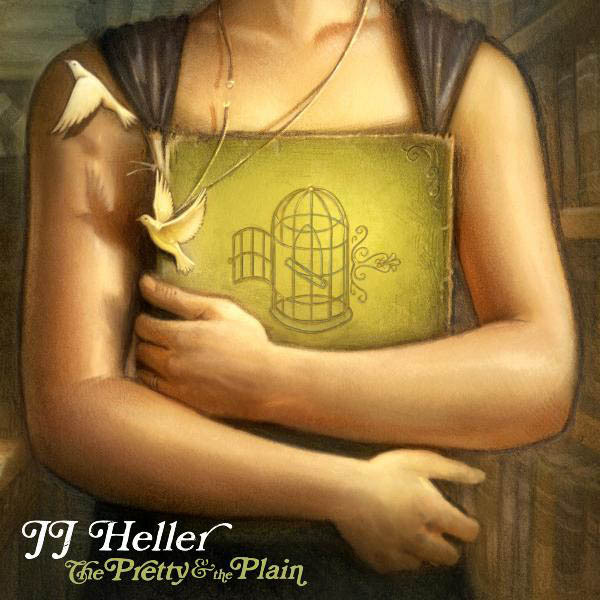 The song is called TONIGHT by JJ Heller, a gentle slow (dance) song, from the album The Pretty and the Plain. Listen here on itunes (track 6). Enjoy. And here’s another song with wedding potential – and a video clip. THE BOAT SONG – beautiful! The Perfect Gift – lovely Christmas clip! Love this new Christmas song I’ve just found by JJ Heller – THE PERFECT GIFT. It was released two days ago. 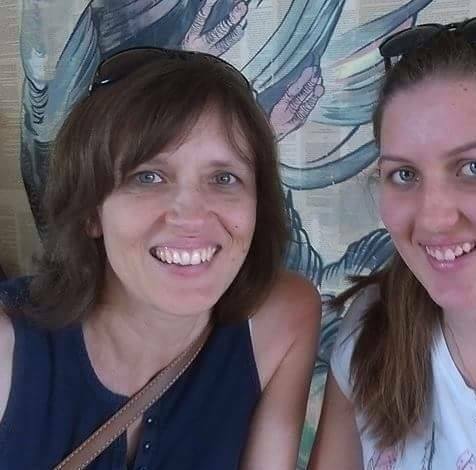 Guess what video clip we will be playing at our carols this year? He was the perfect gift, Oh.. He came to bring us peace, Oh..
With all the shops and the cards, and the chaos in this town? Have we forgotten we need some sorting out? Do we remember the wonders of his love? Will our voices join with the chorus up above? There was a baby who came to recall us back to life? Oh..
Each song comes with a SONG VIDEO/NEW SONG CAFE where the song writer is interviewed, they share their song, and explain some of the unusual things they do to make the song work. Chord structures, rhythm and dynamics are all explored. It’s also helpful to hear the history of how the song came together, and the main things the writer intends the song to say. I always enjoy getting to know a little about the person behind the song as well. These clips are a great research for helping with tricky chord structures, and just getting the right feel to a song. I hope you find it helpful! 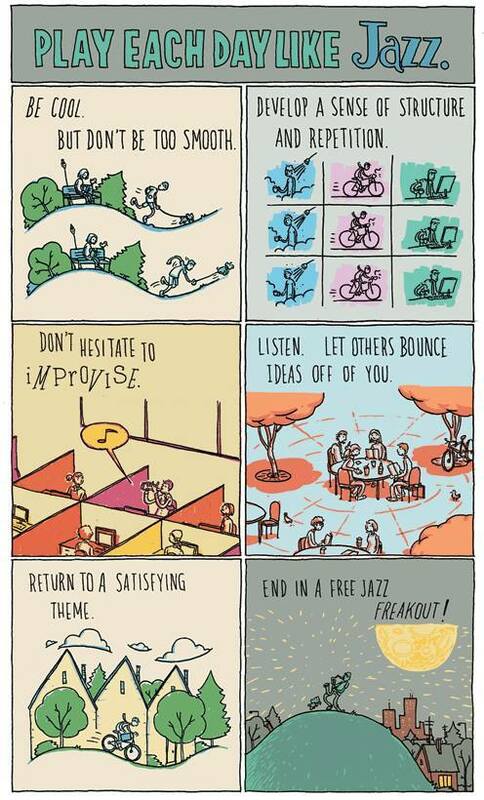 Play each day like Jazz. This will make sense to some of you . . just a little musical humour to brighten your day. Blessings! Does organ music ‘instil religious feelings’? 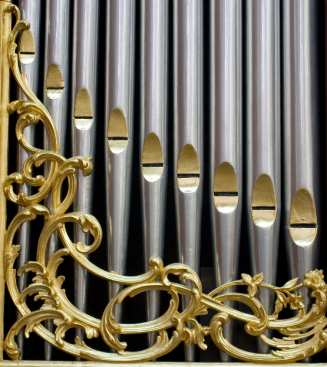 According to an experiment people who experience a sense of spirituality in church may be reacting to the extreme bass sound produced by some organ pipes. Many churches and cathedrals have organ pipes that are so long they emit infrasound which at a frequency lower than 20 Hertz is largely inaudible to the human ear. In a controlled experiment in which infrasound was pumped into a concert hall, UK scientists found they could instil strange feelings in the audience at will. These included an extreme sense of sorrow, coldness, anxiety and even shivers down the spine. To test the impact of extreme bass notes from an organ pipe on an audience, researchers constructed a seven-metre-long “infrasonic cannon” which they placed at the back of the Purcell Room, a concert hall in South London. They then invited 750 people to report their feelings after listening to pieces of contemporary music intermittently laced with sound from the “cannon”. The article “Organ music ‘instils religious feelings‘” was first reported by the BBC in 2003.